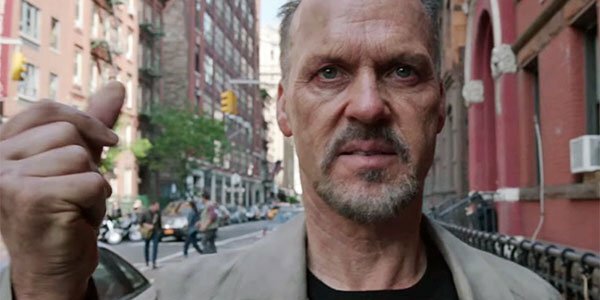 Michael Keaton has seen an insane career renaissance over the last few years. Although the former Batman has starred in numerous movies since his time as the Caped Crusader made him a household name, the last few years have seen him star in not one, but two Oscar winners for Best Picture – Birdman, and Spotlight. With such momentum behind him, the legendary thespian can star in just about any movie he wants. He seems to have found a meaty role in the upcoming adaptation of American Assassin. A new report from Deadline indicates that Michael Keaton has officially been cast to portray Stan Hurley in Michael Cuesta’s upcoming film American Assassin, based on the novel by Vince Flynn. For those unfamiliar with the American Assassin series, Hurley is a shady and grizzled (yet ultimately badass) veteran of the Cold War who teaches green CIA recruits about the art of war. The role was inititally offered to Bruce Willis, but recent updates have now confirmed that Keaton has stepped in to portray the character. I think I speak for the entire Cinema Blend community when I say that seeing a former Batman brought into a new action franchise as a master of stealth and combat represents a major dream come true for any self-respecting geek. At this point Michael Keaton is the only actor confirmed for the project. Chris Hemsworth was reportedly offered the film's lead role in 2012, but no new information has come forward on that front. Stan Hurley is one of the pillars of the Vince Flynn universe and a favorite character for millions of readers, so casting him was a daunting challenge… To have an actor as intelligent and gifted as Michael Keaton bring this beloved character to life is a thrill for everyone involved in American Assassin, and a cause for celebration amongst ‘Hurley’ fans the world over. American Assassin is based upon a beloved series of espionage novels created by writer Vince Flynn. The series centers upon protagonist Mitch Rapp, a new recruit into the CIA, and his mentor Stan Hurley. As the books progress, the story moves from Rapp’s training in the Central Intelligence Agency to his clandestine operations in the Middle East, where he and Hurley work together in order to prevent World War III. Rumors of the series receiving the Hollywood treatment have long persisted, but now the casting of Michael Keaton lends the necessary gravitas to the proceedings to make this a potential goldmine of an action franchise. We will bring you more information related to the upcoming American Assassin adaptation as it becomes available to us. The film will begin production this summer.